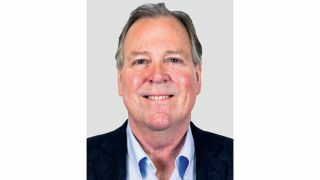 Marshall Electronics has appointed Steven C. Huey director of sales of its new Broadcast Pro AV Division. The new division will bring the Marshall broadcast and pro AV offerings under a single sales group, unifying its efforts to develop and expand technologies in the conferencing and professional audiovisual market. "We welcome Steve's experience and leadership to the Marshall management team," said Leonard Marshall, CEO and founder of Marshall Electronics. “Steve will be a great addition to our team as we move forward in communication technologies, which is no longer just broadcasting, but the combination of a number of technologies that are growing quickly in the global pro AV communications market." Huey is a seasoned senior executive with extensive expertise in marketing, product strategy, and sales channel development. Previously, Huey served as vice president, worldwide sales and marketing at Vaddio. He has also held several key positions with leading technology manufacturers including senior VP and chief marketing officer for Polycom and VP, worldwide marketing communications for Compaq/Hewlett Packard.